The petrol variant of the Discovery Sport will be available in two trims and onward of Rs. 49.2 lac, while the two petrol trims of the Evoque is priced Rs. 51.06 lac onward. Jaguar-Land Rover India has launched the Ingenium petrol engine-equipped variants of the 2018 Land Rover Discovery Sport and the 2018 Range Rover Evoque. The new Ingenium line of petrol engines are lightweight and cleaner in terms of emissions, while maintaining power output. Peak power in the two SUVs from both Land Rover and Range Rover's portfolios is at 247bhp, while the overall fuel efficiency is improved. Simultaneously, the engines are compliant to the latest emission norms, making them even more refined in nature. 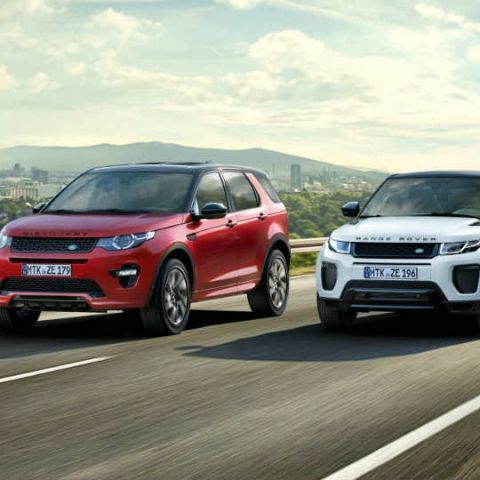 Both the Land Rover Discovery Sport and the Range Rover Evoque feature the same, 2.0-litre Ingenium petrol engine, and are offered in two trims each. The engine is mated to ZF-sourced 8-speed gearboxes, and include a whole lot of technology as well. Both the cars feature the InControl Pro infotainment system with onscreen buttons, satellite-linked navigation with route planner, Wi-Fi hotspot with up to eight simultaneous devices connected and the usual range of Land Rover's InControl Pro services. Both the Discovery Sport and the Evoque offer entry points to Land Rover's and Range Rover's lineups, and will be offered in two variants each with the new engine. The 2018 Land Rover Discovery Sport petrol is available in SE and HSE trims, and is priced onward of Rs. 49.2 lac. The 2018 Range Rover Evoque petrol is available in SE and HSE Dynamic trims, and is priced onward of Rs. 51.06 lac.